The last two weeks have seen two very different artists, Beyoncé and Radiohead, take fans completely by surprise by dropping new music. Both drops achieved the near-impossible - cut-through in an age of Spotify Discover, social media noise and musician selfies on Instagram. What were the marketing tricks they used to pull it off? On May 1, the Radiohead vanished from the internet, scrubbing its Instagram, Facebook and Twitter feeds and whiting out its website. The band also sent out a physical postcard to its mailing list, mysteriously inscribed with the words 'Burn the Witch'. Three days later, it dropped its new single of the same name on Spotify and YouTube. This marks something of a u-turn, given frontman Thom Yorke once compared Google and YouTube to the Nazis. Beyoncé took an about-face approach by announcing a new single, 'Formation', and a world tour during the Super Bowl in February, seemingly without having a new album to promote. It turns out there was a new album after all. Beyoncé aired a teaser trailer for Lemonade on HBO on 18 April, before unveiling the full visual album on 24 April. She then windowed the release, with the album streaming exclusively on Tidal before going on sale on iTunes and other outlets. While online and social media played a major role in marketing the two releases, both Beyoncé and Radiohead relied on a mixed media marketing strategy to tease their new music and build anticipation, notes Jodie Fullagar, director at M&C Saatchi Sport and Entertainment. Radiohead's combination of a direct mail approach with its social media erasure made its single release all the more effective. "It's quite an old-school feel - not giving too much away and having quite a cryptic and dark message," she says. "Combining that with the reverse social media tease meant that when Radiohead did release teaser clips on Instagram, they weren't lost in anything else." Beyoncé, similarly, relied on traditional media first and foremost, unveiled the first song from Lemonade, 'Formation' at the Super Bowl halftime show, before releasing the album trailer and the album itself on HBO for, most likely, an unthinkably expensive media budget. In spite of the apparent parallels between the artists' approaches, their drivers are quite different, says Fullagar. "There's a lot there that’s very creatively impressive on both camps - but one feels more cynically commercially driven than the other," she says. "Beyoncé feels more of a contemporary move, where as the Radiohead strategy feels in line with what they’ve always done." Beyoncé, notes Fullagar, has co-opted a number of popular movements into Lemonade and her tour, specifically black female empowerment. She has embraced the Black Lives Matter movement and, during her halftime Super Bowl show in February, paid tribute to the revolutionary black nationalists, the Black Panthers. "There's some debate on social media as to whether she is using her global icon status to become a figurehead for important, current movements," says Fullagar. "You could argue that her commercial intentions are irrelevant - if she's using her releases to shed a light on those movements, then that's a good thing. "But I can't help but be cynical, and feel it's more her identifying a zeitgeist and riding off it for commercial gain." Radiohead, by comparison, has historically taken a subversive approach for more creative purposes. "They are looking to constantly break new ground and redefine distribution for their own creative purposes," says Fullagar. That isn't to say Radiohead always sticks it to the man. Its u-turn on streaming is a kind of backing down, an acceptance that music marketing has moved on beyond the artist's control. But the band at least has a history of innovating when it comes to distribution - take the 2007 release of In Rainbows, where the band gave the album to listeners no matter what they paid for it. "Radiohead giving into Spotify and YouTube is giving in to what is necessary to get their music to as many people as possible," says Fullagar. "They have an exciting story to tell, and they want everyone to hear it and see it." 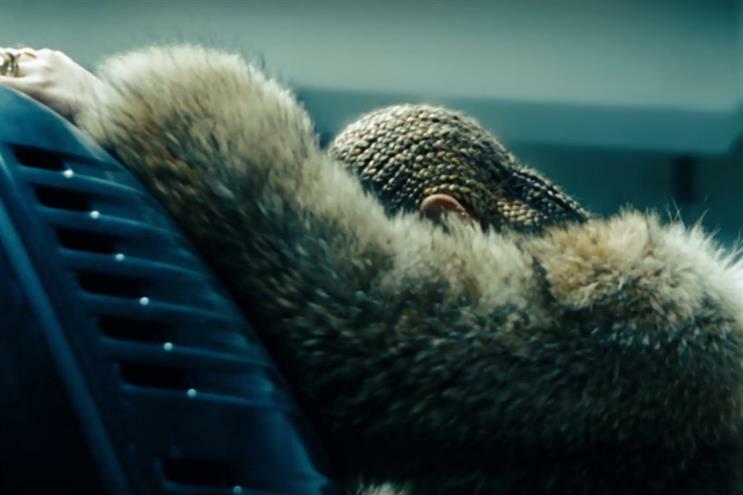 Beyonce's decision to release Lemonade to stream on Tidal exclusively (it is available to buy from other outlets like iTunes, but not to stream), is more commercially driven. Lemonade tells the story of a woman wronged by her husband, in what most commentators believe is a reference to Jay-Z's marital infidelities. Jay-Z also happens to own Tidal. "In the four walls of their house, the decision has been made that Jay-Z is prepared to lose [the reputation of] best dad and best husband in favour of saving face on Tidal," says Fullagar. "That she can exorcise these demons as long as it returns commercially for him." That Radiohead is making its music available universally, via YouTube, and Beyoncé is taking a more closed, windowed approach, "speaks volumes" about their respective creative intentions, adds Fullagar. Post-iTunes, piracy and streaming, it's tours rather than albums that are the big money-spinner for artists. In Beyoncé's case, the album is a kind of promotion for the Formation tour, rather than vice-versa. Fullagar notes that Lemonade is more expensive on iTunes than the average album, another signifier of commercial over creative intent. "The album is a trailer for the tour, and that’s why she delivers it all in one go," says Fullagar. She adds: "What's so disappointing about Beyoncé, for all she talks about empowering black women in her album, the price of her tour will be out of reach for many young women, and that feels very contradictory to me."